Lock in a great price for Relais Ortaglia – rated 9.2 by recent guests! Fantastic location, good swimming pool, well decorated rooms and interior. What did I like about Relais Ortaglia? Absolutely everything. I can honestly say I have never stayed at a place where I literally feel like this is what heaven must be like. 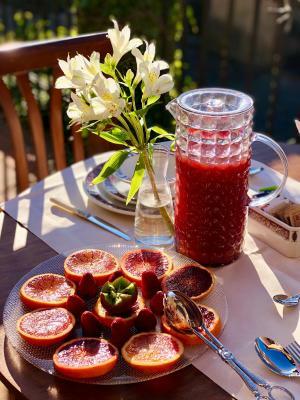 The grounds are breathtaking, the accommodations are beautiful, and the breakfast is a treat. What really sets Relais Ortaglia apart from any place I've ever stayed, however, are the people. The owners, Terenzio and Mara, and the people working there, particularly a man tending to the agriculture there who was very kind to my boys, are simply wonderfully heartfelt people. I cannot wait to return! 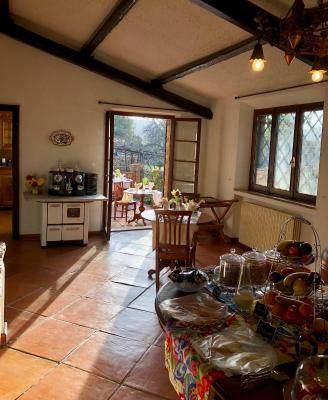 superb location, pretty and very quiet, surrounded by grape vines with beautiful view of Montepulciano. 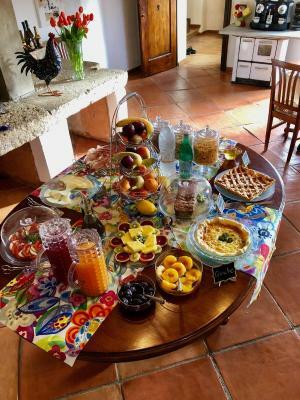 friendly welcome, lovely pool and garden, good breakfast. You do need a car to get to Montepulciano, but Ortaglia is well signposted with easy onsite parking. Francesca was so welcoming, she showed us all around her beautiful property and home. Our room was very comfortable with views of the rolling hills of vineyards. 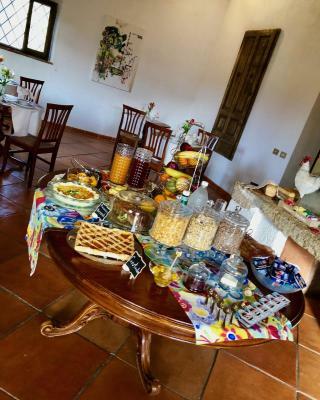 Breakfast was a delicious array of fruits, homemade pastries, meats and cheeses, eggs, juices etc.and plentiful. Their Ortaglia Wines were fantastic, we shipped some home. 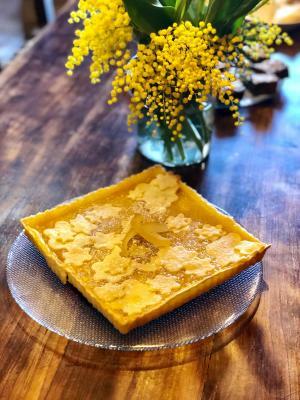 We absolutely loved our stay at Relais Ortaglia, a true Tuscan experience we won't soon forget and hope to return someday. The owner was a pleasure and extremely helpful with suggestions for our adventures. Beautiful property! We loved the quaint, authentic feel the property had. It was like stepping back in time only with some up-to-date amenities included. The family takes great care of the property as well as doing everything they can to make sure your stay is comfortable and memorable. They were gracious hosts. The owners and staff were amazing and very sweet hosts. The grounds were beautiful, some of the best figs and fruit we every ate. Mara and Terenzio were great hosts. They were so welcoming. We only were able to stay one night, but it was one of my favorites of our whole trip in Europe. 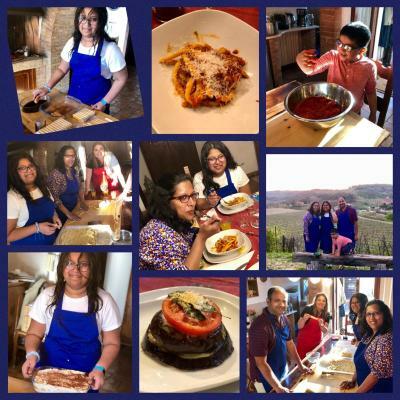 If you have the chance, I highly recommend taking part in one of their cooking classes if you can. It is fun and educational (plus very tasty). The grounds of the property are also gorgeous. 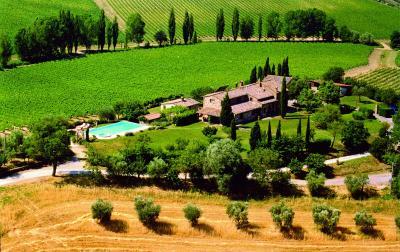 Picturesque sunsets in vineyards, with a view of Montepulciano, and a pretty pool (if the weather allows for it). Unfortuantely, it was too cold for us to jump in when we were there, but it still was so pretty to look at. Montepulciano is a short 5 minute drive away so this location is perfect. We stayed three nights at the magnificent location. Montepulciano is easily to reach, as well as the other points of interest (e.g. Pienza and San Quirico d’Orcia). Large, clean rooms and a good breakfast buffet selection. Parking is on site and covered. Large and clean pool. Enjoy your afternoon on a vineyard and relax here, outside of the busy city. Set in the Tuscan countryside at the top of a hill, Relais Ortaglia is surrounded by vineyards. It features a pool with a small waterfall and is less than 1.2 mi from the Montepulciano’s town center. All the rooms have been furnished with great attention to detail, including original wooden beams and antique furniture. They all have a TV. Some of them come with a spa bath and a mini-bar. 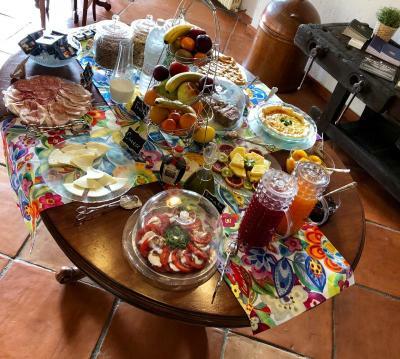 A breakfast buffet is served every day at the Relais Ortaglia. Guests can also enjoy a walk in the garden and pick juicy fruit from the orchard. Free Wi-Fi and free parking are also provided. The area is well-known for the production of the famous Vino Nobile di Montepulciano. Castiglione del Lago, on the margin of the Trasimeno Lake, is 21 mi away. Arezzo is 34 mi away, while Siena is 39 mi away. When would you like to stay at Relais Ortaglia? Elegantly furnished and spacious room that includes a fan or air conditioning, a TV, as well as a small fridge and bathroom with tub or shower. It can be either on the ground floor or on the first floor. Extra spacious, elegant suite that features a view over the vineyards and a large spa bath. It includes air conditioning, a TV and mini-bar. 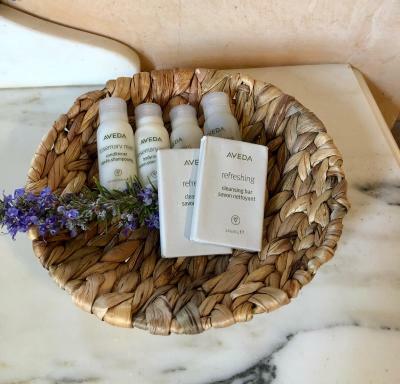 House Rules Relais Ortaglia takes special requests – add in the next step! ATM card Relais Ortaglia accepts these cards and reserves the right to temporarily hold an amount prior to arrival. Relais Ortaglia accepts these cards and reserves the right to temporarily hold an amount prior to arrival. Please inform Relais Ortaglia of your expected arrival time in advance. You can use the Special Requests box when booking, or contact the property directly using the contact details in your confirmation. Our room over looked the parking lot. The only thing I didn't like was the fact that I had to leave and see my vacation come to an end. Small fridge with low cooling effect in the room. Beautiful place in a stress-free environment. Excellent pool and nice garden. Very nice garden and swimming pool and view on Montepulciano. Nice room with huge bathroom and patio. Nice hosts, and Terensio had good tips for restaurants and for our trips. The relais feels like home which is great. Unfortunately, some guests forgot they weren't at home and left their stuff everywhere around the pool. 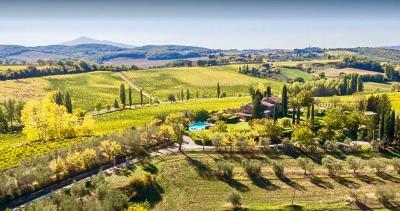 Stunning property close to Montepulciano with beautiful views over the surrounding countryside. Very pleasant wine and excellent cookery course. The location was perfect. The vows amazing! Not a real complaint, because everything else was great, but the mattress was a bit soft, but didn't cause back problems. Our only problem was it would have been lovely to get a cup of tea or coffee, they have lovely/ample sitting rooms set-up for guests to read or check their wifi, this may be an English thing so maybe we shouldn't complain in Italy.Would have loved either set up in our room or available urn/kettle or something to organise our own. The location, lovely country setting, friendly staff, helpful with location and places of interest, good breakfast selection. Room. Dark with smallest bathroom we have ever had. Noisy ground floor location. We were there for five nights which made it worse.